PRESIDENCY - The Romanian Presidency of the EU Council on Wednesday concluded the first file on the protection of personal data. The new regulations penalize the abusive use by political parties of personal data with the aim of influencing voters' behavior. The text must be adopted quickly by the European Parliament and the Council of the EU, in order to serve as reference for the European election in May. The proposal is part of a wider package of measures launched by the European Commission and aimed at ensuring free and fair elections. ORCHESTRA - On Thursday, the Romanian Government approved under a decree the setting up of the EU Orchestra, representative for the entire EU and Romania, as a means of disseminating our common values all over the world, reads a communiqué issued by the Ministry of Culture in Bucharest. As coordinator of the project, the ministry will provide the necessary facilities for the EU Orchestra's concerts.  As of January 1st, Romania has been holding the rotating presidency of the Council of the EU. Against this background, the communiqué reads, musicians from all the EU countries performed for the first time in this formula on January 10th, under the baton of Ion Marin, before European leaders gathered at the Romanian Athenaeum in Bucharest. REGULATION - On Thursday, the MEPs voted a draft regulation under which the EU member states risk losing EU funds if they jeopardize the rule of law. According to a press release posted on Thursday on the European Parliament's website, the draft regulation stipulates that, assisted by a panel of independent experts, the EU Commission would be tasked with establishing "generalized deficiencies as regards the rule of law" and decide on measures that could include suspending EU budget payments or reducing pre-financing. The decision would only be implemented once approved by Parliament and Council. Once the member state remedies the deficits identified by the EU Commission, Parliament and EU ministers could unlock the funds. The draft regulation applies to all members states and it is not related in any way to the Cooperation and Verification Mechanism for Romania and Bulgaria. STRIKE - Miners at the Oltenia Energy Complex have resumed work, following Thursday's negotiations between representatives of the Energy Ministry, the leadership of the Complex and trade unions. According to a communique issued by the Energy Ministry, miners will get a 585 RON net increase in their salaries, provided they resume work. Also, holiday vouchers worth 1,450 RON will be granted to all employees as of May 1st, 2019. The Easter bonus will be provided just like the bonuses for Job Day, standing at a minimum 330 RON. On Wednesday, the Gorj Tribunal, in the south, had ruled that the strike was illegal. The leadership of the company estimates loses incurred due to the strike of 3.1 million Euros per day. Miners' protest started on Friday night, in the Jilt Nord mine and gradually extended to the other mines of the complex. MOLDOVA - Romania wants to capitalize on the opportunities rendered by its holding the presidency of the Council of the EU to strengthen the ties between the Republic of Moldova and the EU, said on Thursday in Chisinau the Romanian Foreign Minister Teodor Melescanu. Also, Melescanu reconfirmed the support for Moldova's European aspirations and urged authorities in Chisinau to keep pursuing the commitments made under the Association Agreement and implement the necessary reforms. The only viable alternative is reform, to ensure prosperity, stability and democracy, Teodor Melescanu has also stated. Given the upcoming elections in the Republic of Moldova, Melecanu has stressed the importance of upholding the highest democratic standards in this respect. VIRUS - The number of deaths caused by the flu this season has reached 11. The latest victim is a 60-year-old man from Prahova County, with a medical history, who had not been vaccinated against the virus. The list of dead also includes a 10-month baby and a 17-year-old man. Health Minister Sorina Pintea has dismissed the possibility of a flu epidemic, saying the virus has just been circulating more widely. She has stated that some 1,3 million anti-flu shots have been procured, with some 100,000 left in stock. The Health Ministry has urged the population to get the flu shot, as the safest and most effective way to stay healthy. BREXIT - The British Conservative Party on Wednesday survived a vote of no-confidence launched by the Labor Party, following Theresa May's historic defeat in the House of Commons the other day on her plan for leaving the European Union. Prime Minister May announced she would immediately start consultations with parliamentary parties in order to come up with solutions that would lead to getting the deal voted. The Prime Minister, who is expected to present a new agreement proposal in Parliament over the coming days, has invited MPs to work together and ruled out the possibility of another Brexit referendum. In Bucharest, President Klaus Iohannis has stated that Wednesday's vote in the British Parliament is regrettable, but there are no reasons to worry, given that European leaders are prepared for other options. TENNIS - Romanian tennis player Simona Halep , no.1 in the WTA rankings, on Thursday defeated Sofia Kenin (37 WTA) of the United States in the second round at the Australian Open, score 6-3, 6-7, 6-4. In the men's singles, the Romanian player Marius Copil was ousted by Belgium's David Goffin, 5-7, 7-5, 6-2, 6-4. Also on Thursday in the women's doubles, Sorana Cirstea of Romania and Jelena Ostapenko of Latvia advanced to the second round after defeating Ying-Ying Duan of China and Vera Lapko of Belarus, 6-2, 6-7, 7-6. In the next round they will be taking on fifth-seeds Andreja Klepac of Slovenia and Maria Jose Martinez Sanchez of Spain. Another Romanian pair, Irina Begu - Mihaela Buzarnescu, made headway into the competition after winning 7-5, 3-6, 6-4 against Lizette Cabrera and Jaimee Fourlis of Australia. They will next play Alize Cornet of France and Petra Martic of Croatia.